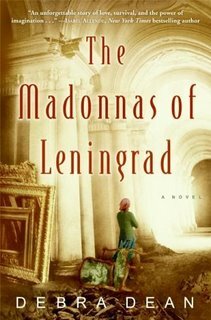 I just finished reading The Madonnas Of Leningrad, a wonderful debut novel by Debra Dean. The story shifts back and forth between present day America, and 1941 Leningrad. It is 1941 and Marina, works as a tour guide at the Hermtage Museum in Leningrad. As the German troups approach Leningrad and the bombing begins, Marina along with her coworkers work diligently removing the priceless artwork from the walls, leaving only the empty frames. In order to cope with the horrors of the war, Marina creates a “memory palace”, by recreating each of the masterpieces in her mind and committing them to memory. Flash forward, 82 year Marina and her husband Dmitri are attending their granddaughter’s wedding. Although Marina suffering from Alzheimers has a hard time remembering where she is going, her “memory palace” is still intact. This is a wonderful and touching story. I just finished The Kitchen House by Kathleen Grissom. If you liked The Help, you will be engrossed by this historical novel. The story takes place in the early 1800s on a Virginia plantation, describing the struggles and relationships between a white woman and the plantation slaves. Enjoy this suspenseful page-turner. Hi Lois, The Kitchen House sounds like a good read. Thanks for the suggestion!